Do you have a product designed to stand out on the shelf? Are you looking for a sleek no label look that’s consistent with your brand? Our clear labels may be the perfect printing solution for your product design needs. 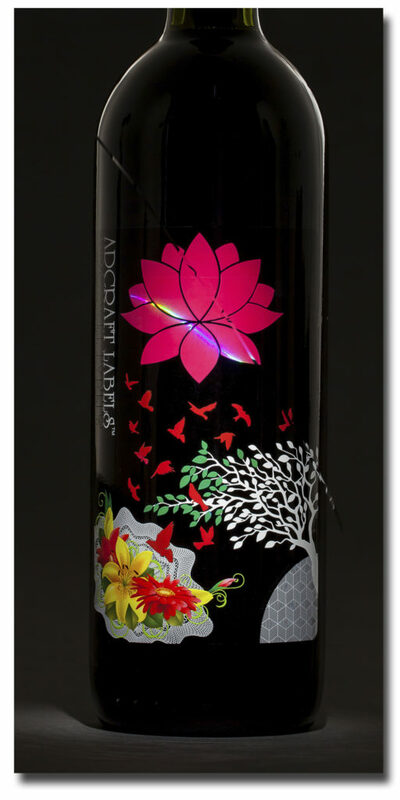 Adcraft Labels offers the popular no label look with our “invisible labels.” Adcraft Labels is dedicated to providing high quality, functional clear labels so you can give your products that amazing no label look. Adcraft Labels can make your creative vision come to life. In a world of limitless choices, clear labels or invisible labels are a sophisticated breath of fresh air for your unique product. The no label look is eye-catching in its own way; consumers will recognize your brand’s minimalism and the product will speak for itself. Clear labels are also great for shipping, mailing, greeting cards, invitations, gift boxes and more. Invisible labels virtually disappear when applied to a range of mediums. When sending out direct mail it is important to present the best-looking mailer possible, the no label look is an effective way of ensuring that your communication appears professional and sophisticated. These clear labels seem to disappear on colored and textured surfaces. Invisible labels are quite helpful when it comes to professional invitations, party invites or wedding invitations in that the no label look allows you to preserve your colorful, decorated envelopes and parcels. Here at Adcraft Labels, we understand how much time, effort and resources are required to build a successful brand. We know there is purpose and passion in what our clients bring to market. Our goal is to help you design packaging that will both enhance brand identity and improves product sales. Each of our team member’s shares the same purpose and pride in their specific craft and in what they produce. We are dedicated to making sure that your hard work and vision is translated into an exceptional product that you can be proud of. We know that our success is dependent on the success of our clients. For more information about the no label look, clear labels, invisible labels and our range of other services, please email us or call 1-800-892-1051.